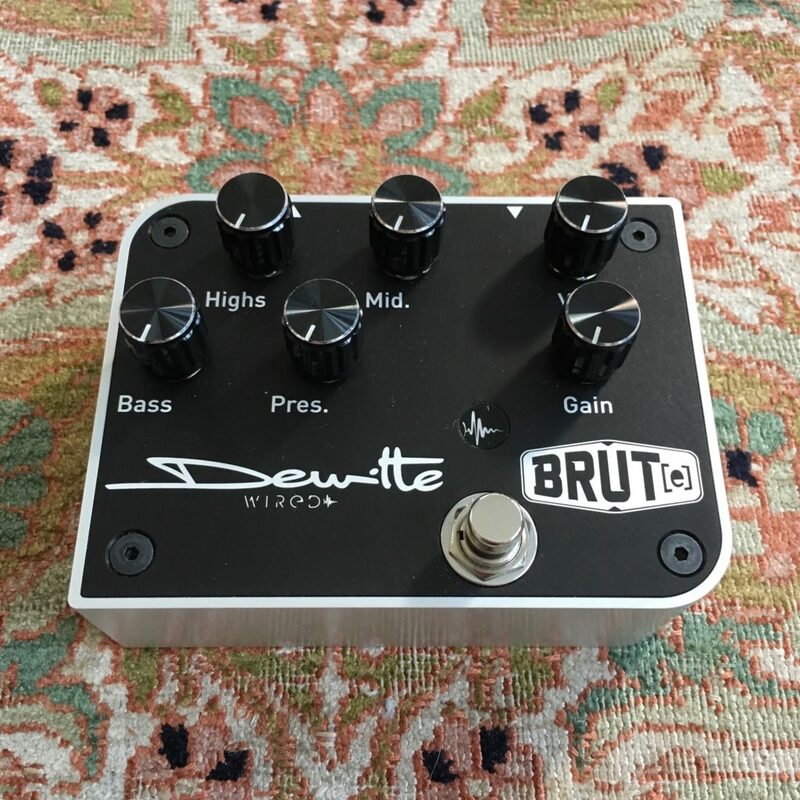 Nicolas Dewitte has been designing and producing pedals under the brand Dewitte Wired since 2004, the pedal model Brut(e) represents the synthesis of all experiments to propose a pedal with huge sounds on your pedalboard. Note that the pedal is presented as a preamp that is to say that it can of course work in the input of your guitar amp but also directly into a power amp. 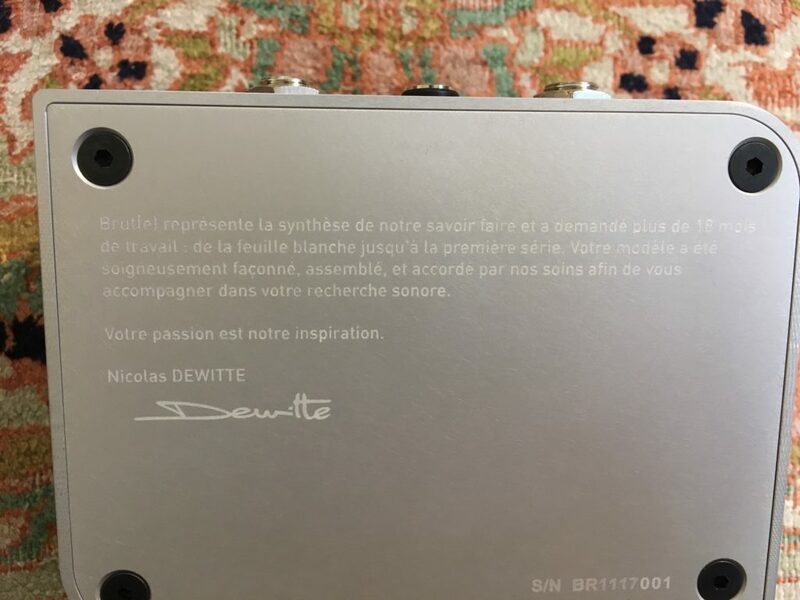 With the Brut(e) Nicolas Dewitte signs a splendid product: the design and the quality of manufacture are at top level. The sound is also at there, especially on the high levels of gain where I find that this pedal excels particularly. 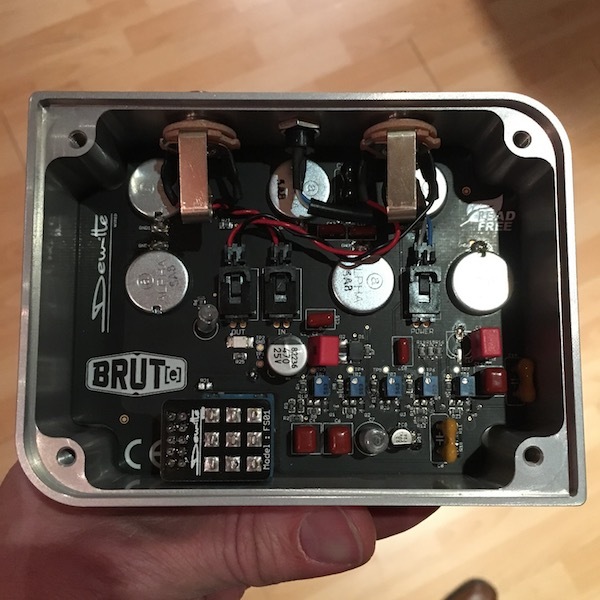 A € 330 TTC, the Brut(e) is not a cheap pedal but it is built like a tank and no doubt it is ultra reliable. There is just to take a look inside (see photo above) to realize that it is the work of a great pro and not a handyman soldering iron as sometimes seen in some so-called boutique pedals.